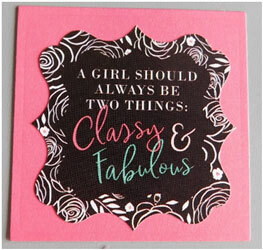 Don’t just make a statement make a card fashionista statement with this awesome Twisted Easel Card. 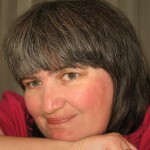 It’s perfect for any girl of any age. 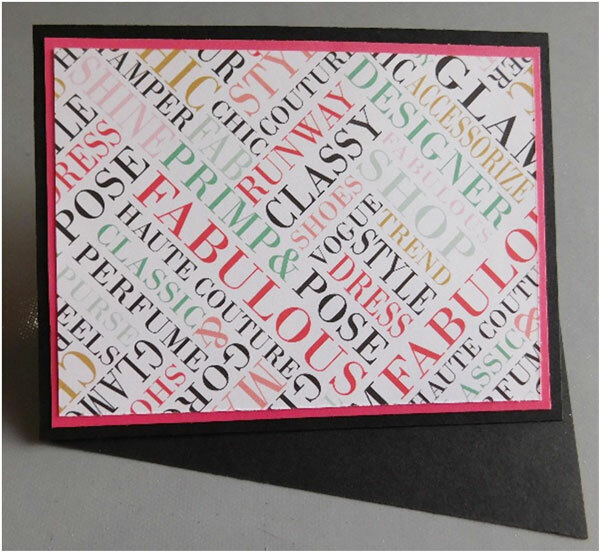 Whether you need a birthday card or one to tell a friend how fabulous she is, this is the card to use. 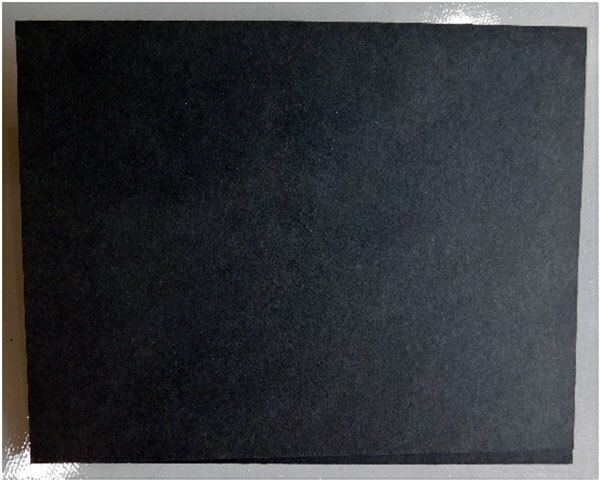 This card base is created from a 9 ¾” x 4 ¼” piece of cardstock. Score it at 5 ½”. 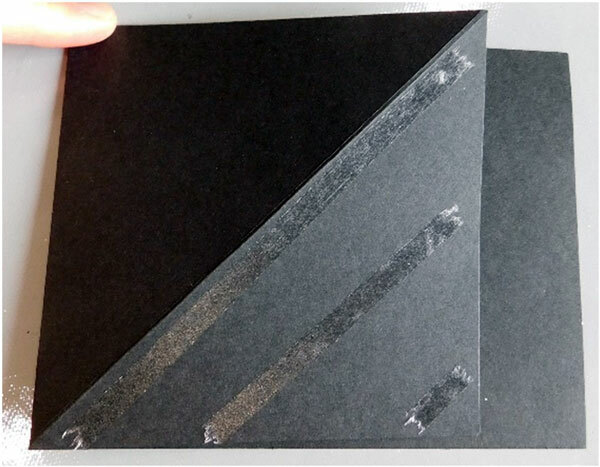 This measurement may seem a little odd because we’re used to scoring things in equal amounts, but it will allow the card to fold and twist as it’s opened. Place the piece on your scoring board at an angle and score it diagnolly from the top of the middle score line down to the corner. You can use a ruler to line it up with the scoring track. 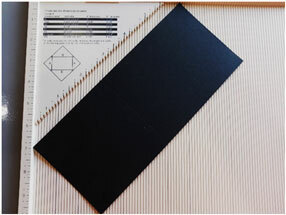 It, also, helps to darken the tracks of each one inch increment to helping with getting it lined up. Fold the corner on the score line. Open it back up and add tape to only the bottom corner as shown. 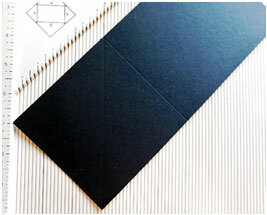 Now, cut and attach a piece of 4 ¼” x 5 ½” cardstock over the tape. Make sure to line the edges up. This is the front of the card. 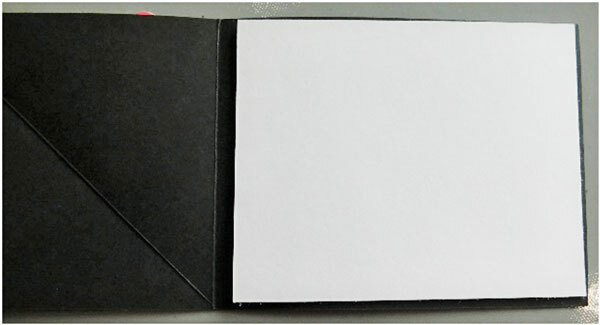 This is what the inside will look like at this point and how it is folded when opened. 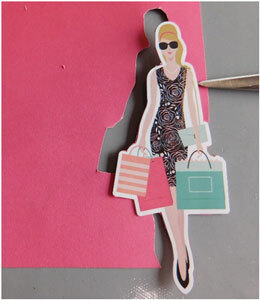 Cut a piece of cardstock that measures 4” x 5 ¼” and attach a piece of patterned paper (Fashionista by Echo Park shown)that measures 3 ¾” x 5”. Add this to the front of the card. 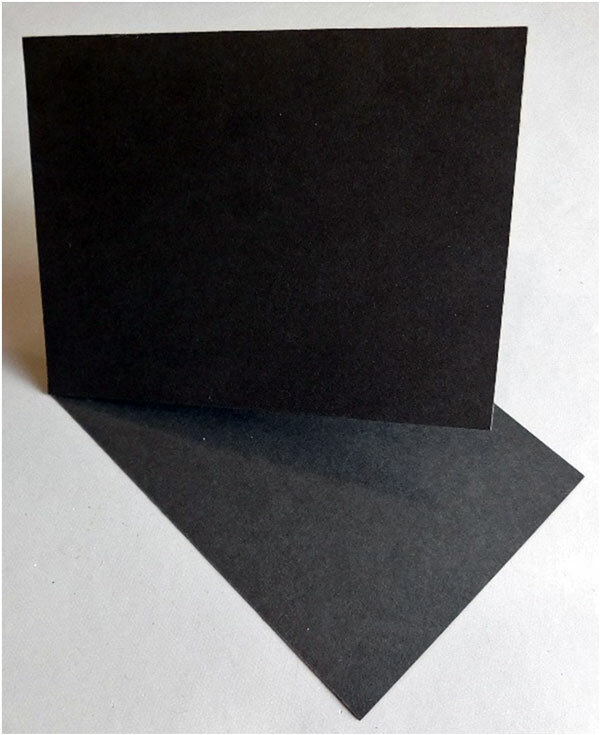 Remember that the front was created using the 4 ¼” x 5 ½” piece of cardstock two steps above in this tutorial. 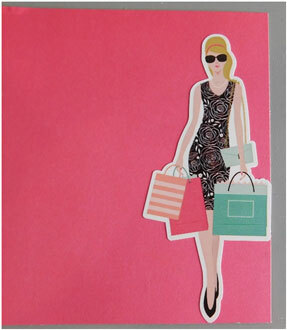 Add one of the cool girl shopping stickers from the Fashionista sticker sheet to a scrap piece of cardstock and fussy cut it out. Open the card so that the largest section is on the bottom. 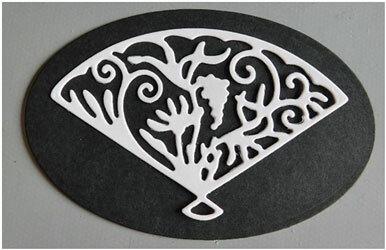 This is the base of the card and attach another piece of cardstock that measures 4” x 5”. This will be where you will place the sentiment and a hold to help hold the easel up and prevent it from sliding closed. Cut a 2 ½” square and add one of the sentiment stickers to it. 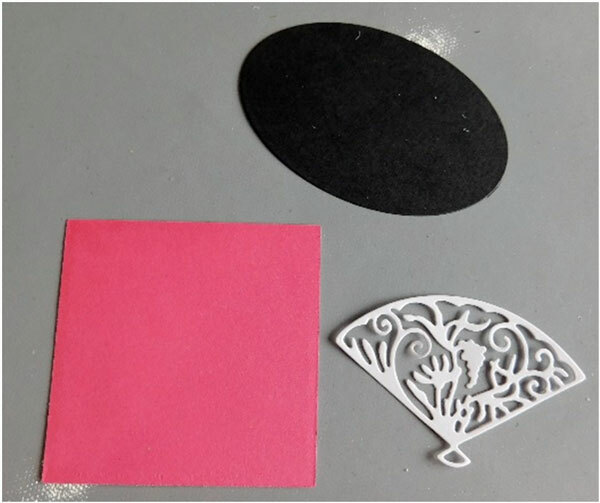 Also, die cut an oval and a fan. This will hold the easel and keep it from sliding. 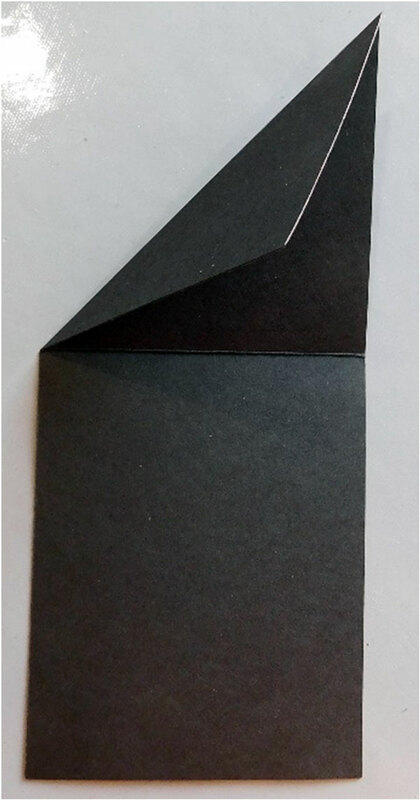 Attach it to the base of the card and attach the square to the front of the card. You will need to use a glue pen to attach the fan to the oval. 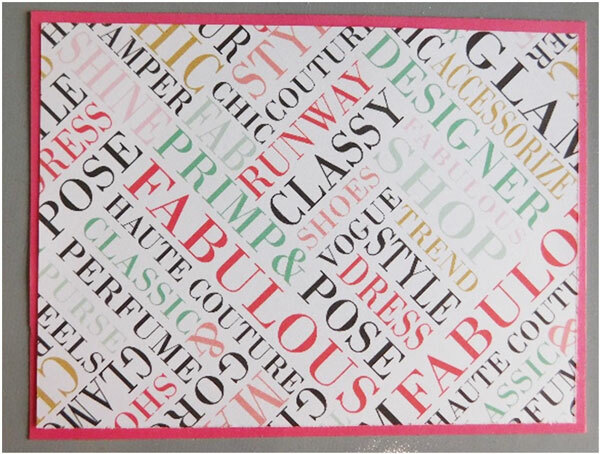 The next time you want to make a statement that says, “Wow” this is the card to do it. It’s perfect for a special occasion or just every day. Every girl will have fun receiving this Twisted Easel Card. 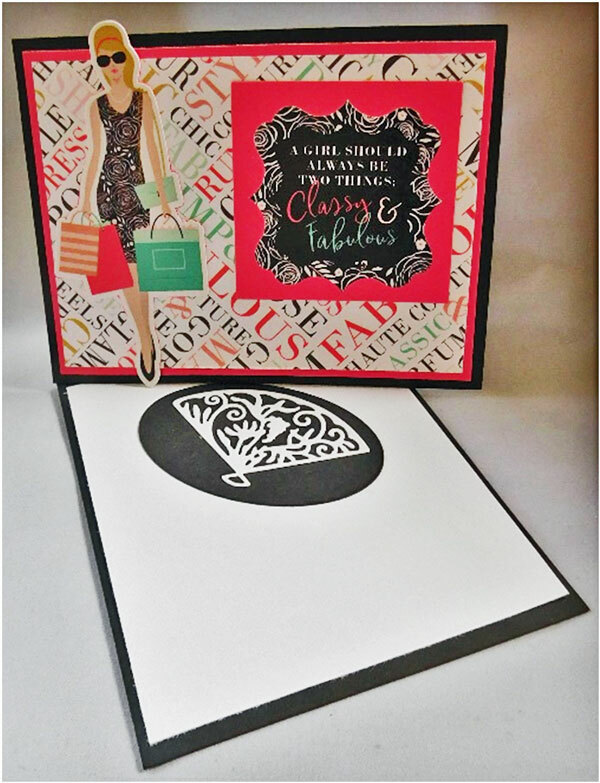 This entry was posted in Cardmaking and tagged All-Occasions Cards, Card Making, Die Cutting, Echo Park Fashionista on August 18, 2018 by Peg.